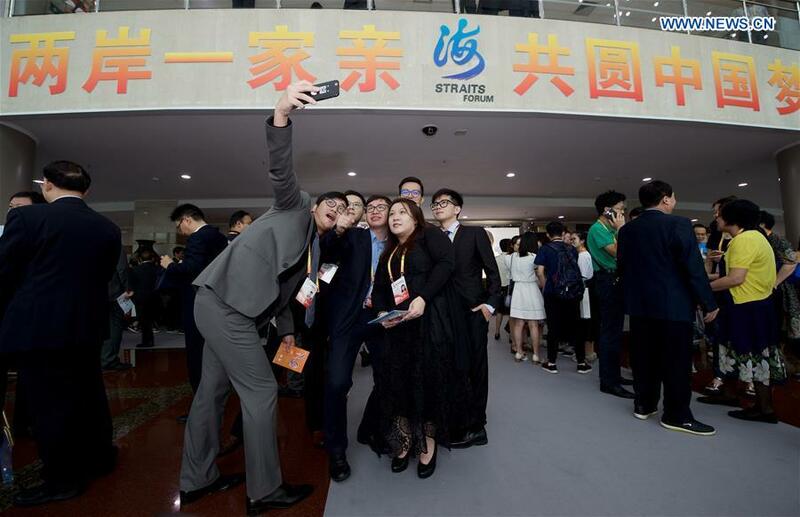 XIAMEN/TAIPEI, June 20 -- The ongoing Straits Forum in east China's Fujian Province is making unique contributions to cross-strait relations, according to experts on both sides of the Taiwan Strait. Focusing on grassroots exchanges and cross-strait integration, the week-long annual forum features 21 major activities on youth, grassroots communities and trade. Tan Ching-Yu, researcher with the Taipei-based Taiwan Institute of Economic Research, said that a non-political platform like the Straits Forum is particularly important now, as the cross-strait trade is now at a key transitional stage. "Scholars, entrepreneurs across the strait can sit down and work out a better way to promote cooperation," she explained. Cheng You-ping, associate professor at the department of public administration and policy, Taipei University, said that people-to-people exchanges at the grassroots level are of great significance in promoting cross-strait understanding and bringing people's hearts closer. The integrated development is an upgrade of the cross-strait cooperation and shows the direction of the future, said Li Peng, deputy dean of the Taiwan institute at Xiamen University. With over 8,000 people from Taiwan attending, the popularity of the forum indicate that continued people-to-people exchange meets people's expectation, and is an irreversible trend, according to Wang Kunyi, professor at the Graduate Institute of International Affairs and Strategic Studies, Tamkang University in New Taipei City.